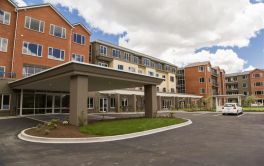 KNIGHTSBRIDGE Retirement VILLAGE on the North Shore is set among twelve acres of established landscaped gardens. 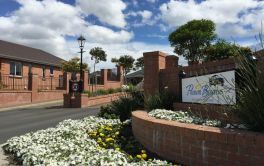 It is close to some of Auckland's best beaches, parks, golf clubs and amenities. With Albany Westfield less than 3km's away, there's a bus stop within 500m and the Albany Transport Hub is 4km's away. Knightsbridge has modern villas, apartments and facilities set among the colourful gardens. Their website states that "In the Community Centre you'll find a great cafÃ© and restaurant, a heated swimming pool, a gym, a library and plenty of space for the many activities on offer. Outside, there's a bowling green, a croquet lawn and a petanque terrain, and even a workshop for woodworking and other hobbies." Knightsbridge also offers Home Care services. 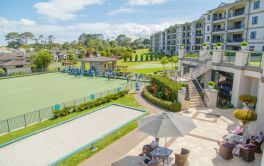 The Knightsbridge Retirement Village is owned by Arena Living - which owns and manages lifestyle villages - four in Auckland and one in Mt Manganui, Tauranga. Each village is described as "a thriving community that has been built on years of strong reputation where our resident happiness is what really matters." KNIGHTSBRIDGE VILLAGE, MAYFAIR VILLAGE, PARKLANE VILLAGE, THE PENINSULA CLUB & OCEAN SHORES VILLAGE. × Have you visited this facility? Help others who are looking for a place by posting a review on KNIGHTSBRIDGE VILLAGE | Arena Living or review a different facility now.